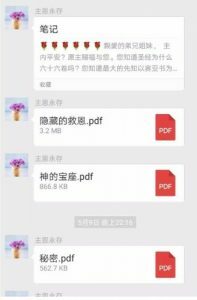 Source: Direct Reports from China Date: May 31, 2018 Bitter Winter is receiving many reports from mainland China of schools suppressing religious freedoms. This has especially intensified since the adoption of the new Regulations on Religious Affairs in February 2018, which prohibits minors under 18 from joining a religion and engaging in religious activities. 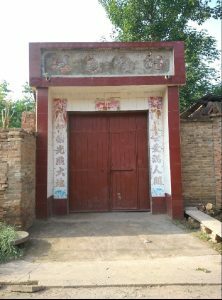 Source: Direct Reports from China Date: May 31, 2018 Bitter Winter has learned that an elder from the Central Three-Self Church in Tangyin County, Anyang, Henan, was suspended from her post by the director of the local Bureau of Religious Affairs on the spot, for taking her 2-year-old grandson to the church. Source: Direct Reports from China Date: May 31, 2018 Bitter Winter has learned that local authorities threaten to close a church in Donghekou Village in Wenxi County, which is part of the prefecture-level city of Yuncheng, Shanxi. The authorities claim that the church building is illegal and that the church should join the official Three-Self Church. 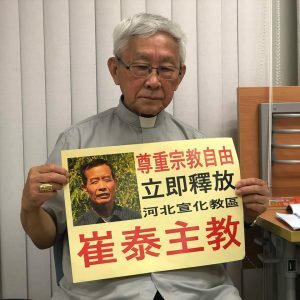 Source: Direct Reports from China Date: May 30, 2018 On May 23, Bitter Winter reported about seventy-year-old Christian Zhu’s arrest for carrying memory cards that contained religious videos. 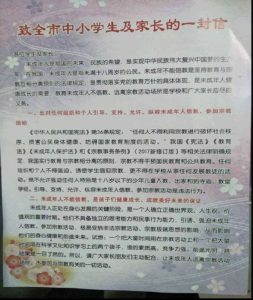 Source: Direct Reports from China Date: May 30, 2018 Bitter Winter recently received information that the Chinese Communist Party (CCP) issued a secret document ordering all provinces, cities, and counties to make short films that discredit The Church of Almighty God, a Chinese Christian new religious movement. 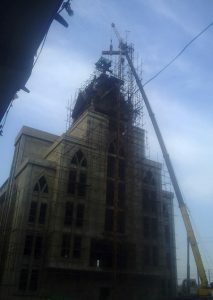 Source: Direct Reports from China Date: May 30, 2018 Bitter Winter has learned that, on April 28, 2018, the Long’an District Government in Anyang, Henan, used a crane to demolish the cross of Shenjiagang Church, which was still under construction. Source: Direct Reports from China Date: May 30, 2018 On May 5, 2018, a village official from Wuzhi County, which is part of the prefecture-level city of Jiaozuo, Henan, used an electric drill to remove four Chinese characters 以马内利(meaning “Emmanuel”) on a horizontal inscribed board that belonged to a Christian from the Three-Self Church.